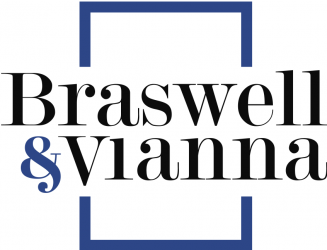 Braswell & Vianna LLLP is dedicated to the practice of all aspects of U.S. immigration & Intellectual Property Law. Our Immigration Department is focused on: Family-, Business- and Employment-based Immigration Law while our Intellectual Property Department is focused on TradeMark before the United States Patent and Trademark Office (USPTO). When you hire one of our attorneys, you can have direct access to the professional through e-mail, telephone and/or text message at your own native language (English, Spanish, French, and/or Portuguese). Because of this personal relationship with our clients, our expertise, and trustworthiness, Braswell & Vianna LLLP has experienced rapid growth in recent years. Partners Jania Braswell and Adriana Vianna are both licensed to practice Law in the United States and in Brazil. Our services of Intellectual property (IP) refers to creations of the mind, such as inventions; literary and artistic works; designs; and symbols, names, and images used in commerce. IP is protected in law by, for example, patents, copyright, and trademarks, which enable people to earn recognition or financial benefit from what they invent or create. By striking the right balance between the interests of innovators and the broader public interest, the IP system aims to foster an environment in which creativity and innovation can flourish. Attorney Jania Braswell is a native of Brazil, raised in Brasília, where she practiced law until she moved to the United States in 2000. In Brazil, Braswell worked as a legal consultant for SEBRAE/DF, a company which advises small businesses in areas related to tax, intellectual property, business formations and labor/employment law. She also worked as a legal analyst attorney for the Brazilian Attorney’s General Office (in areas related to civil, constitutional, antitrust, and consumer law) as well as a solo legal practitioner (in civil litigation, employment law, and family law). In the United States, Braswell worked for seven years as a roadway design engineer and a bridge design engineer while attending law school. Braswell then practiced immigration law in Georgia until she moved to South Florida. In Florida, Braswell previously managed and operated her own successful Immigration Law practice while assisting Rothman & Tobin, P.A. 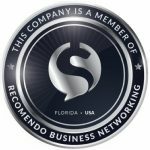 as an Of Counsel attorney for international clients in real property transactions and disputes. Braswell brings years of experience in family-, employment- and investor-based immigrant and nonimmigrant visa petitions, including petitions for individuals with extraordinary abilities, and client representation before the U.S. Immigration Court System. Braswell is often invited to speak domestically and internationally about U.S. Immigration Law. A passionate, honest, personable, and knowledgeable attorney, Braswell often goes out of her way to make herself available to her clients. A multilingual attorney, Braswell is fluent in English and Portuguese and conversant in Spanish and French. Braswell lives in South Florida with her two sons. She is an avid volunteer with her church ministry and actively participates in Pro Bono representations and programs. Attorney Adriana C.K. Vianna is admitted to the state Bars of Florida and Indiana and is a native of Brazil. She lived and practice law in Curitiba until she moved to the United States in 1999. In Brazil, Vianna worked as an associate for Hapner & Kroetz Law Firm assisting international clients doing business in Latin America on general corporate matters, including business formation, corporate governance, tax, environmental, labor, intellectual property and banking law issues. In the United States, Vianna worked for Steel Hector & Davis LLP representing U.S. and foreign individuals and companies, in multi-jurisdictional and international disputes before Federal Courts and international arbitration tribunals while working with U.S. and Latin American based lawyers to develop strategies and direct litigation. Vianna brings prior experience in bridging Civil and Common Law systems, with substantive international legal knowledge, and realistic appreciation for the nuances of the immigration system. Her personal experience in finding immigration solutions for qualified medical professionals gives her a unique perspective and insight into her client’s needs. If you have concerns about your case, she will always take time to talk to you and give you an honest assessment of where things stand and future expectations. She is fluent in English, Portuguese and French and conversant in Spanish. Vianna lives in South Florida with her family and volunteers for nonprofit organizations mobilizing resources to promote equality, economic opportunity and childhood healthcare for all Brazilians. and the Digital Era: Argentina and Brazil, The University of Miami Inter-American Law Review, Spring 2003 (34): 277. 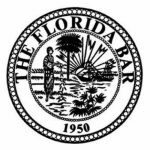 Dissolution Actions Against Limited Liability Corporations, 10 Themis Law Review, 19 (1998). Immigration & Intellectual Property Latest News!